Patrick Stickles decision to perform a solo rendition of The Replacements’ “Treatment Bound” as a tribute to his band was appropriate in so many ways. 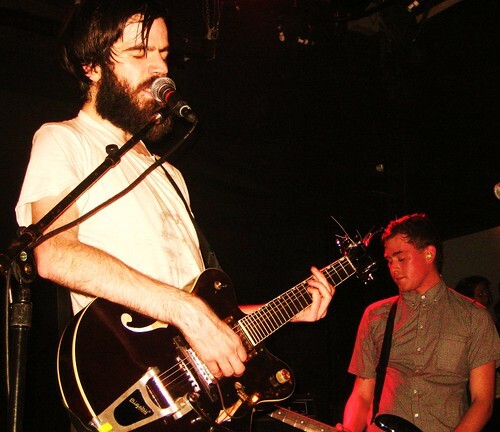 Titus Andronicus owes much to the Replacements in terms of their sound and their attitude. At the Bowery on Saturday night, Titus sold out one of NYC’s premiere venues on the night they celebrated the release of their triumphant new album The Monitor. As the Replacements did during their Hootenanny/Let it Be heyday, Titus has learned to walk the thin line between inspired manic energy and chaos. But if the decline of the Replacements from a group of talented crazies to a bland major label AOR band is any lesson, one can only hope that Titus can maintain their edge. The Monitor is an ambitious album that works on many levels as it draws inspirations from history, life in the suburbs, and life in a punk rock band. As the Minutemen did contemporaneously to the ‘Mats, Titus has structured big ideas into multi-layered songs (“Battle of Hampton Roads” lasts sixteen minutes), but still manage to keep within the punk idiom and ethos. Its truly a strange site to see virtually the entire floor of the Bowery Ballroom slamming to a song about Civil War ironclad warships, but somehow on Saturday it seemed to perfectly fit the occasion. I recorded this set with the Neumann microphones from the balcony rail mixed with a feed from the soundboard. The two sources give the recording both instrumental and vocal clarity while also reflecting the energy in the room. Enjoy! 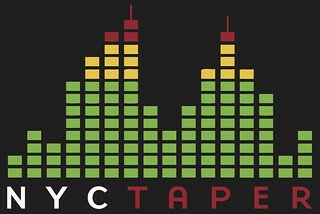 If you email nyctaper for access to this recording, we expect that you will PLEASE SUPPORT Titus Andronicus, visit their website, visit their MySpace page, and purchase The Monitor directly from Beggar’s Group/XL Recordings [here]. did you get the parts and labor set? Yes, but I haven’t even listened to it yet. On track sixteen, I’m the guy yelling “part one” really loudly. I feel like a tool, now. This is a public apology. Thank you. Amazing! Thank you very much for your hard work.